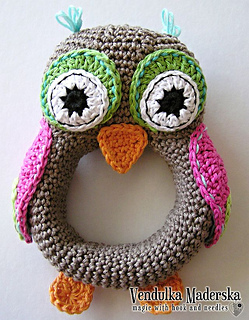 Whoooo - just for you :-) The crochet owl rattle pattern. Level: beginner/intermediate. Basic skills of crocheting are needed.